Cabsforyou.com provides cabs for business travel of your company's executives. Be it an Airport transfer or local travel during the day for business meetings or traveling to outstation to meet your customers / suppliers, we provide cabs for every need. 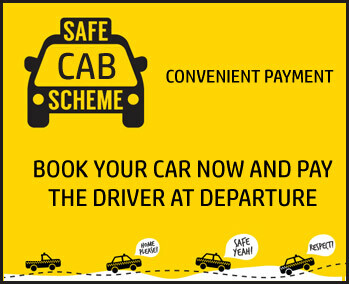 Convenience of booking both Online at https://cabsforyou.com or Offline through email or phone. A choice of neat and clean Sedans ( Maruti Swift Dzire, Hyundai Xcent ) or Multi Purpose Vehicles ( Toyota Innova, Toyota Innova Crysta ) to suit your requirement. Pick-up and drop from/ to Airport or Railway Station as required. Meet and assist by the driver carrying a placard. Courteous, punctual, well trained and well groomed drivers to ensure your journey is made as comfortable as possible. Convenient payment options - Online by Credit/Debit card, Net banking or various Cash Wallets or Offline by paying cash to the driver. Let travel with Cabsforyou.com be your therapy! Discover a new travel experience!